Professional Tarot card readers, psychics, crystal ball readers and palm readers. 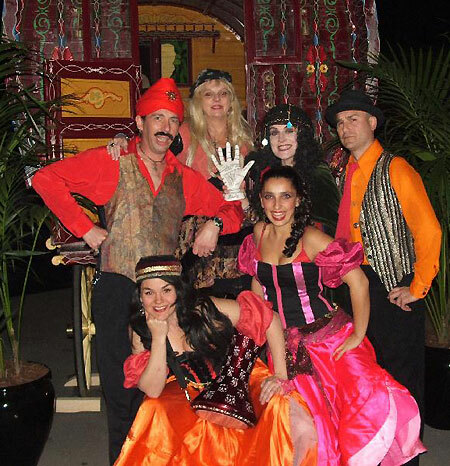 Hire individuals or a group of performers for private parties, hens nights or adult entertainment for corporate parties, festivals, outdoor events, shopping malls, product launches, bohemian or carnival theme parties, or other functions and events. 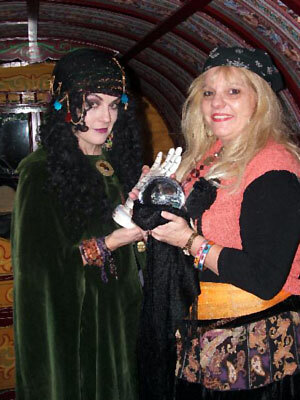 Our talented Psychics can come dressed as Gypsy’s to fit your theme or simply as themselves. They are the real deal and very good at what they do. Our lead Psychic Jacqui won Psychic of the Year 2013 NSW by the Australian Psychic Association and recently did a very successful reading for Marcia and Demi Hines. Jacqui also recently filmed the "Conversations with Spirit" show which was filmed for European television networks. It was packed with people and highly successful. For corporate events we recommend having Jacqui to meet and greet guests with her tarot cards. This can be done as roving entertainment for the first hour as guests arrive. She will move from group to group and give 2 - 3 minute tarot card readings. For a standing cocktail party Jacqui can continue on with the roving readings for up to 3 hours. Or you can set her up in a quiet area with a table and chairs and guests can come to her for a sit down 5 minute reading. If you have a large number of guests you will need more than just one Psychic as you don’t want your guests spending their time queueing all night! 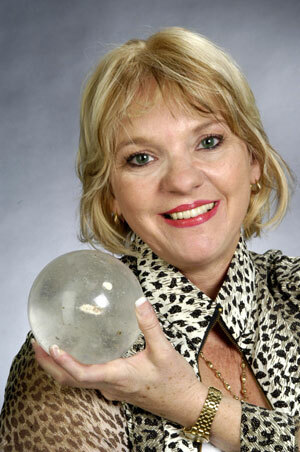 Jacqui has a handful of hand selected Psychics who can work with her on the might to cater for large crowds. Jacqui also is a hit at Hen’s parties. For Hen’s parties Jacqui can do an interactive seminar and demonstrations for the group using Psychometry (reading jewellery) and connecting with spirit. The time frame can be tailored to suit your event but 45 mins – 1 hour is usually the best fit. She can then do private 5 minute readings afterwards if you like. This format is suited to groups of up to 12 guests. Jacqui and her friends are available for small personal parties (great fun for hen's nights) through to Bohemian, Medieval and Carnival theme nights (yes, she loves to dress up), trade shows and product launches. Set her up at a table or let her rove amongst your guests. They'll know exactly what is required - whether it's a serious answer or just a whole lot of fun. Her predictions are always given in an optimistic light. If there's good coming your way, she'll let you know. If there's things that are not so good she may get you to keep an eye out for them so you can make a change in your choices to avoid it happening. It's never set in concrete. Your future can always be changed by you. Jacqui is part of a new TV show about being a Animal Psychic going to air in 2014 with a well known TV Vet. A very exciting project for Jacqui as she is an animal lover so this show is right down her alley! Do look out for the show when it airs.